Chumbera, nopal, tuna, penca ... hay varios nombres para estos cactus común en Canarias, tan abundantes que muchos piensan que es una planta nativa de Canarias "típico". Pero este no es el caso. 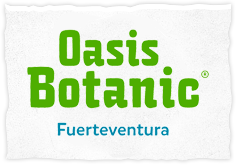 Our Botanic Gardens and the Garden Center watches over the preservation and conservation of species, both adapted to the conditions that surround them and the construction of green areas of interest. For classical world Greeks, Hesperides were beautiful nymphs who guarded a spectacular garden in a far corner of the West traditionally located in the Canary Islands. Do you know the strategy 2020 of the european Union for the conservation of the environment? A few weeks ago we told you about the semi-aquatic plants growing on the banks of rivers and ponds. Last week we told you about the pollination of some plants, which was carried out by insects such as beetles. But pollination can be performed by other animals such as bats. This week we talk about an interesting, broad and complex topic: pollination in plants. Last week we started talking about coastal plants growing on the banks of rivers and lakes. But there are many specialized species of plants grow in these waters, so this week we are still talking about them. We present again this week some plants that have to be careful because of its toxicity.